Now you can safely secure your tablet in a locked enclosure and mount it on a table, desk or wall. This secured tablet holder for iPad is the perfect way to utilize your tablet as an interactive marketing kiosk, educational tool, product display or a multitude of other applications. This TAA compliant product adheres to the requirements of the US Federal Trade Agreements Act (TAA), allowing government GSA Schedule purchases. • Imagine all the ways you could use a self-standing tablet in your organization. Greet clients with helpful information. Connect customers to your own app to enhance the user experience. 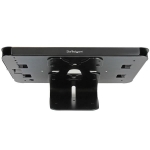 Or, use a tablet as a sleek point-of-sale (POS) system. • The attractive metal enclosure provides an impressive display unit to showcase your own apps or new products and services. The home button is covered, allowing you to direct users to specific information or apps, while preventing them from navigating the tablet at their leisure. • On a wall or desk surface, the secure enclosure lets you create an interactive user experience while protecting your tablet. 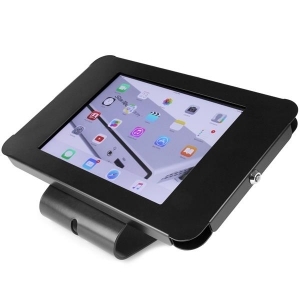 Simply slide your iPad into the steel enclosure to help protect it from loss or damage. The holder supports Apple iPad and iPad Air, with 9.7" screen size. The lock guards against theft, with a secure locking mechanism. While your tablet is in use, you can be sure it’s held safely and securely in place in the enclosure. 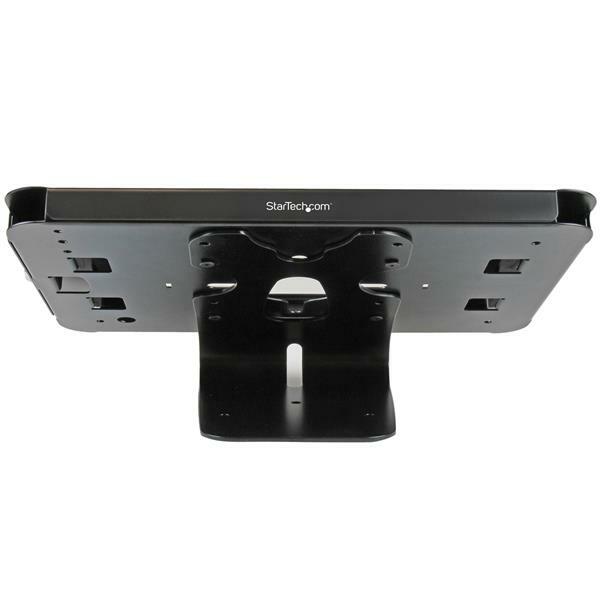 • The tablet holder’s robust, solid-steel construction provides maximum durability, protection, and stability. 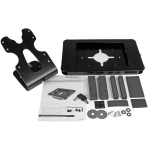 It’s easy to mount to your desk, table or wall, to provide security and a comfortable viewing position, and the lockable enclosure can be mounted directly to a VESA compatible monitor mount for easy adjustability. • Maximum Display Size: 9.7"